You've scouted out the best mortgage rate and fought hard to get the best price on your new home. But your bargaining shouldn't stop there. You can save hundreds of dollars on your closing costs just by shopping around. Bankrate's 2017 Closing Costs Survey found the average fees due at closing for a $200,000 home totaled $2,084 in lender and third-party fees. Fees charged by lenders averaged $951 in 2017. Fees paid to third parties for such things as appraisals and title insurance averaged $1,133. But fees can vary greatly, depending on where you live. 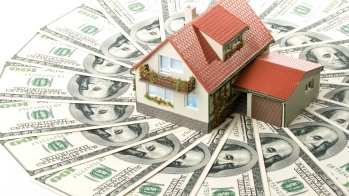 New York had the highest average closing costs at $2,648, followed by Hawaii at $2,490. Pennsylvania had the lowest closing costs $1,734, followed by South Dakota at $1,814 and Wisconsin at $1,817. Smart move 1. Determine which services you can shop for. If you're looking to save on closing costs, your starting point should be the 3-page Loan Estimate every lender is required to provide within three days of applying for a mortgage. At the top of Page 2, the Loan Estimate details which "Services You Can Shop For," such as title insurance and pest inspection, and which "Services You Cannot Shop For," such as the property appraisal. The lender is required to give you a list of settlement service providers, but there's no requirement that you use them. If you find a reputable alternative, the lender will typically accept it. RATE SEARCH: It's also important to save on mortgage rates. 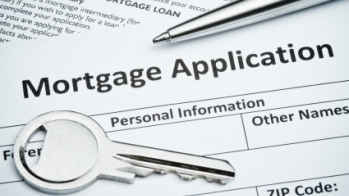 Compare the best mortgage rates. Smart move 2. Pick your settlement company. Depending on where your new home is located, you'll find settlements are handled by title insurance companies, escrow companies, real estate brokers or attorneys. Your real estate agent or lender is likely to suggest that you use an in-house or affiliated settlement firm. But you aren't obligated to do so. You might find a better price with an independent settlement company. "Like shopping for any service, it's important to find the right fit for you," says Diane Evans, president of the American Land Title Association. She suggests you talk to family members, friends and neighbors to help find the right service providers who understand your situation and location. A mortgage is the biggest debt most of us will ever carry. That's why it's so important to avoid pitfalls like letting the bank decide how much house you can afford or failing to check your credit before you try to buy. 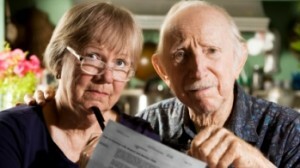 These mistakes can cause you to pay more than you need to, prevent your loan from closing or even lead to foreclosure. Smart move 3. Know where there's wiggle room. You need to understand which prices are locked in and which can change. If you use a company recommended by your lender, your title services, lender's title insurance and owner's title insurance can't increase by more than 10% at closing. However, if you chose to use service providers not listed in the Loan Estimate, there's no limit on how much the costs could rise. Smart move 4. See if you can recycle and reuse. Ask about the title reissue rate. That's a discount on the cost of an owner's title insurance policy. If the sellers purchased their home within a certain period of time — often it's 10 years — and bought owner's title insurance, ask for a copy of their policy. With that, you should be able to get a discount on the price you pay. If your lender and title insurance company are amenable, you also may be able to avoid paying for a new survey if you go back to the company that did the previous survey and ask for an update. Smart move 5. Use your online and social media skills. You use social media and the internet for almost every aspect of your life, so why not use them to help you find a settlement company or service provider? Look on Facebook for recommendations, and share that with companies you're approaching. You might be able to get a better price that way. Also check sites like Angie's List and with the Better Business Bureau to see what companies get high marks. Smart move 6. 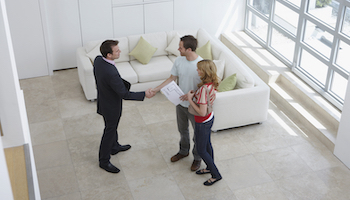 Ask the seller for help with closing costs. If you're feeling cash-strapped, you can ask the seller to help pay all or part of your closing costs. Often they'll start by offering to pay for certain services, such as a home inspection. But you're better off requesting a specific dollar amount. Check with your real estate agent for advice on what to request. 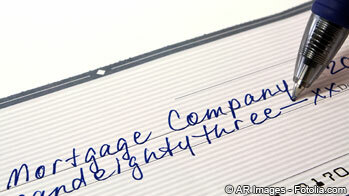 Your lender may have limits on how much the seller is allowed to contribute. Smart move 7. Close near the end of the month. Of course, you're eager to get into your new home, but closing toward the end of the month will save on prepaid interest. With a new loan, you need to prepay interest that accrues from the closing date to the end of the month. So if you close on March 16, you'll have to pay for 15 days of interest. By closing on March 30, you'll only pay interest for March 30 and 31. Smart move 8. Make sure the costs on your Loan Estimate and settlement papers match. Be sure to check the Loan Estimate against the Closing Disclosure you must receive three days before finalizing your mortgage. If there are substantial changes, such as a higher interest rate for your loan or a prepayment penalty is added, you'll receive an extra three days to review the closing disclosure. If you find settlement charges that aren't supposed to increase have risen, or if those that are allowed to rise by 10% have increased by more than that, the lender must reimburse you. Remember, those limits aren't in force if you've hired your own service providers, so you'll have to hold them to the prices they quoted you. Want to save even more? Start shopping for the lowest mortgage rates in your area.